***What I use to teach Bass to my Beginning Bass Students on Skype*** This method is loaded with information. In the author's words, ""The electric bass is in a very exciting developmental period. No longer does it just provide 'low-end support.' Now entire songs are built around the bass line."" This method is both easy to understand and thorough! 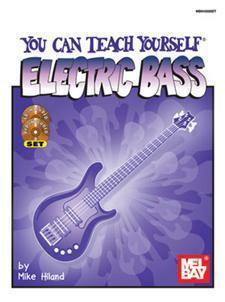 It provides the theory and technique needed to play contemporary bass, and it covers such modern effects as slap pop and right-hand hammering techniques. While note reading is taught, tablature is also presented. The companion DVD is included in this package in DVD format. CD also included." 120 pp.